Caesar Salad. It’s a freaking classic. Of course, we made a couple of key changes to bring this old standard into the future. Believe us. 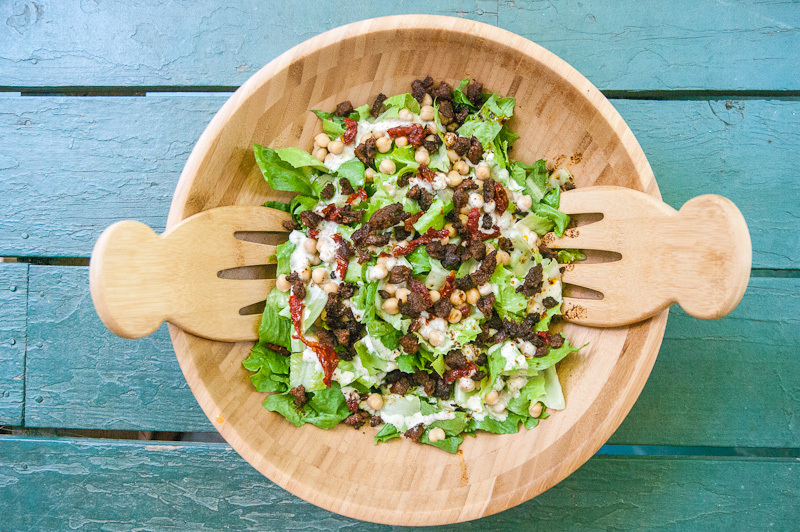 This salad will become a staple in your recipe rotation. 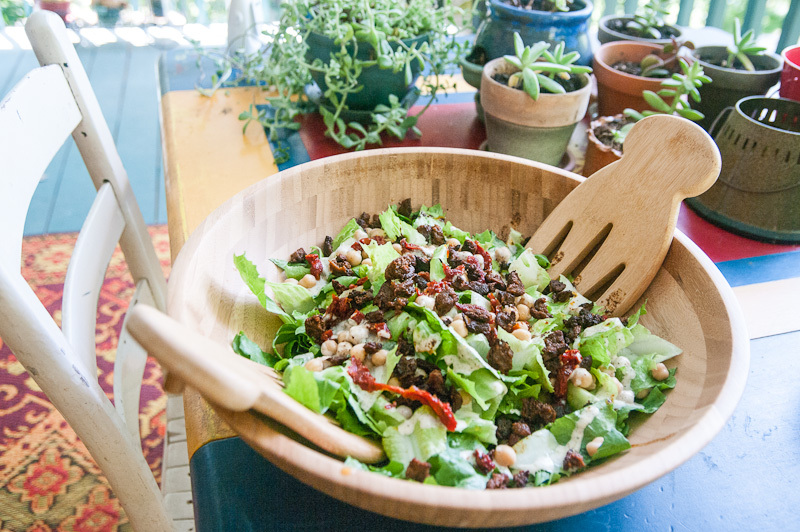 Loaded with chickpeas, crispy chorizo, and topped with an easy-to-make scratch made salad dressing that’s just as rich and flavorful as the original! 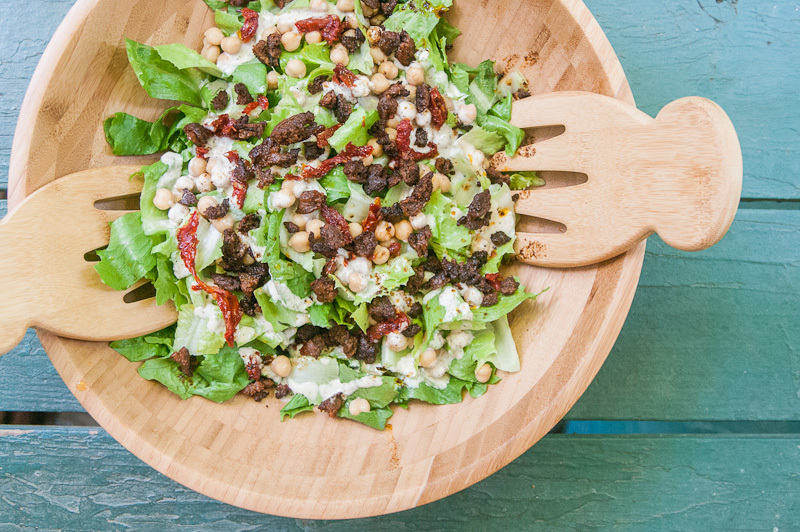 Put all your dressing ingredients in a blender and give it a whirl! 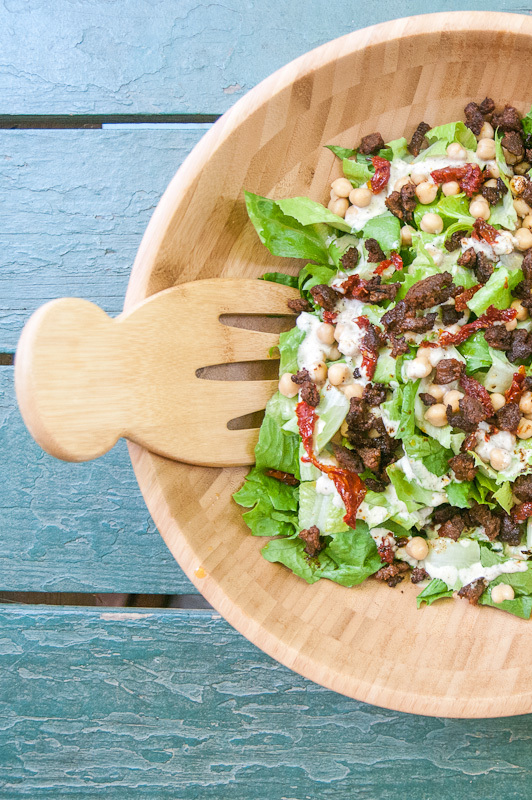 Top your greens with crispy chorizo, chickpeas, sun-dried tomatoes, and dressing. Add a few cracks of fresh ground pepper & dig in!